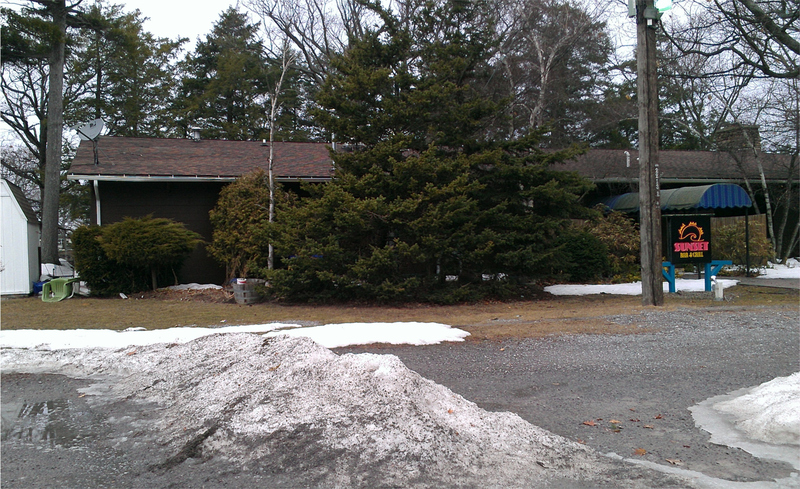 The Sunset Grill before renovation. The exterior view of the Sunset Grill during construction. 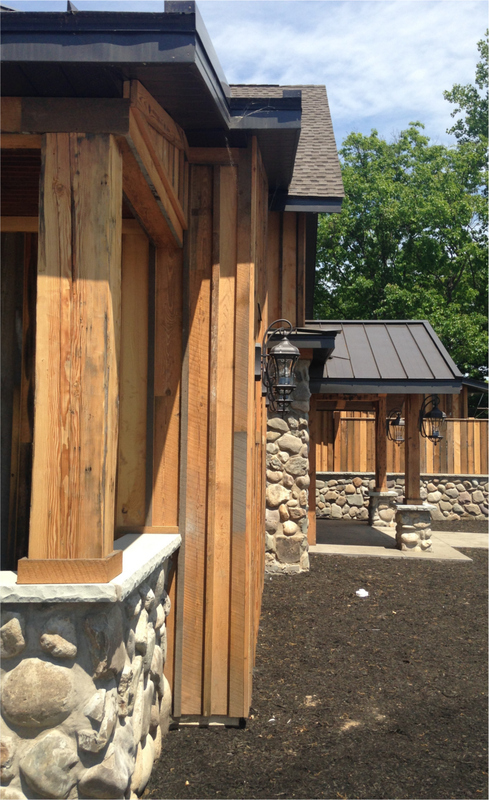 Exterior side view of the Sunset Grill featuring stonework and wood paneling. 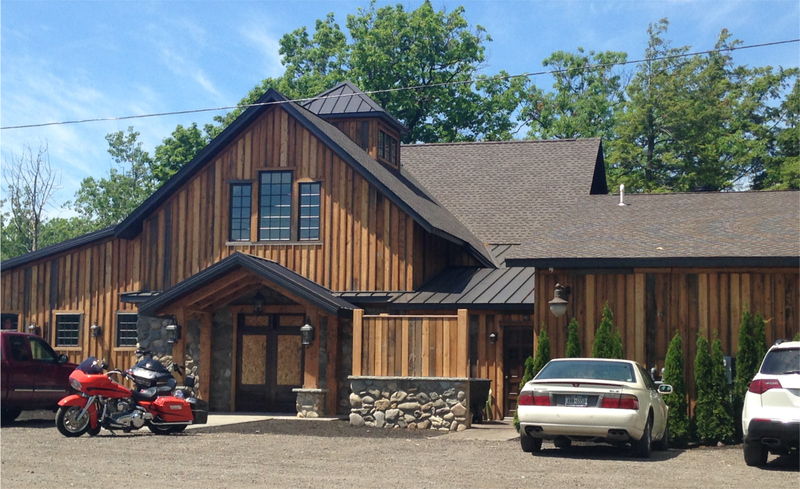 The Sunset Grill in Wilson, NY received a much-needed renovation that included a new banquet hall as well as an exterior facelift to create a more rustic, refined look.